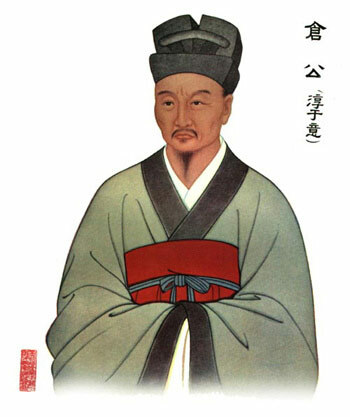 Tsang-kung [Cang Gong] - Cang lived about 200 B.C., at the beginning of the early Han Dynasty period. He is famous for keeping clinical records and case histories, thus being able to develop the concept of prognosis based on prior experience. This art was largely lost and restored only during the 20th century.